SPINE offers a unique story that portrays the healing process of mental health. It is untraditional in a variety of ways, and portrays a well-rounded female protagonist. This representation is crucial in our society where at one point any medical problem a woman faced was "in her head." Now when mental illness is gaining traction in media, it often may be villainized, trivialized, or inaccurately represented. 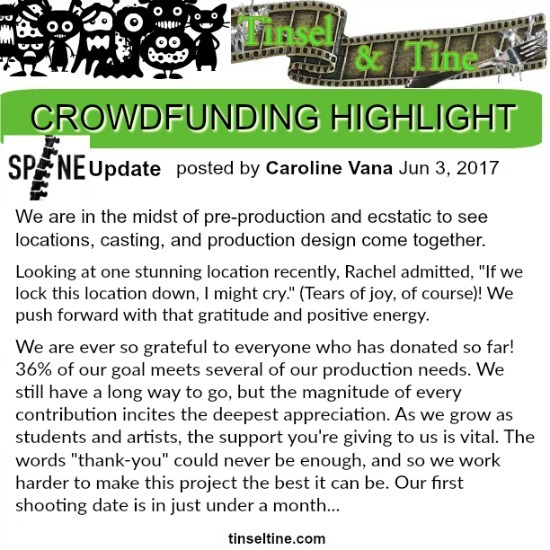 Spine aims to do none of that and instead provide a unique story that will explore recovery and resonate with its viewers. Rachel Mueller (writer/director) and Caroline Vana (producer) both work with Temple's chapter of Active Minds, which has prepared them for careful handling of this subject matter.